Last week’s terror attacks in Paris were clearly intended as an attack on Western culture, but the club owners of Paris have no intention of allowing that plan to succeed. According to the joint statement, the popular clubs listed in the ad—all of which were temporarily shuttered for obvious reasons last weekend—intend to reopen with some beefed up security this weekend, just one week after the attack. 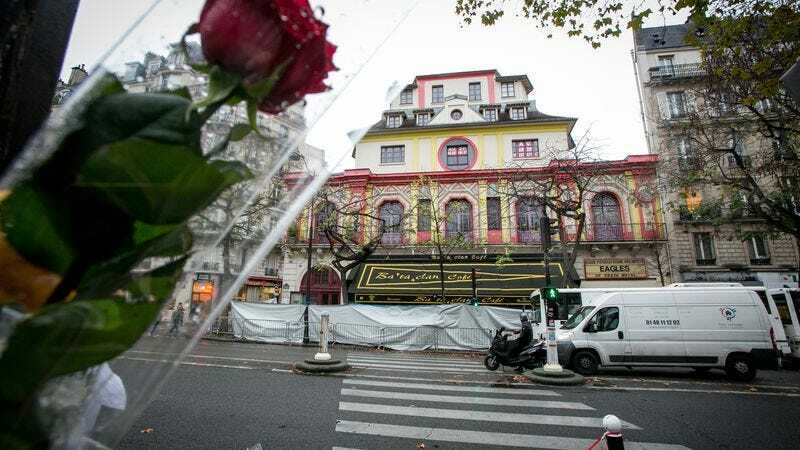 The Bataclan, site of one of the deadliest of the terror attacks, was not among the venues on the list, but its owner says the club plans to re-open eventually: “Hearts will be heavy for a few months, a few years. But we will reopen. We will not surrender,” co-owner Dominique Rivert says.